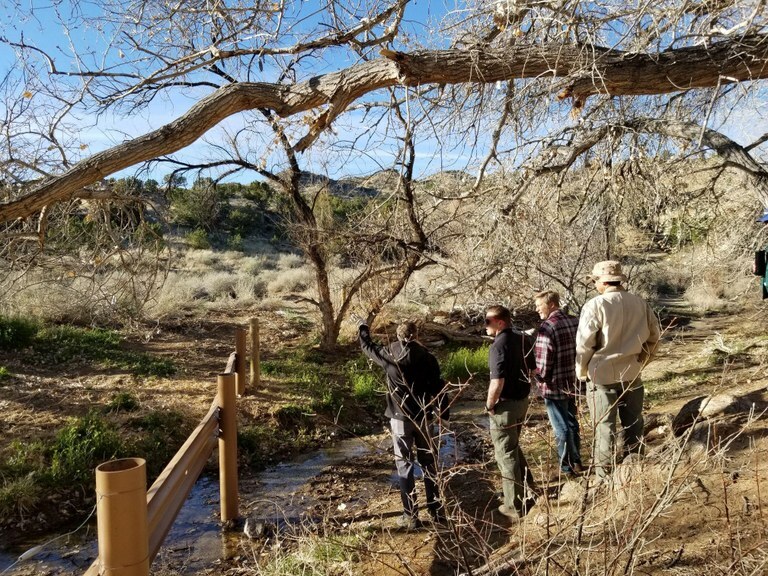 Albuquerque Mayor Tim Keller today kicked off the 35th anniversary of the City of Albuquerque’s Open Space Division by celebrating the acquisition of two properties in the Tijeras Arroyo that will add 38.1 acres to the City’s more than 29,000 acres of Major Public Open Space. The acquisitions include the 21.4-acre Logan Ranch property and the 16.7-acre Chant property in southeast Albuquerque. Following the ribbon-cutting ceremony, dozens of volunteers participated in a cleanup of the Route 66 Open Space. 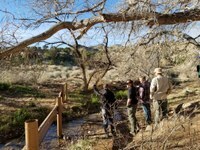 In 2007, Open Space developed the Tijeras Arroyo Biological Zone Resource Management Plan to protect natural and cultural resources and wildlife habitat in the largest arroyo in the city. The plan considered the amount and type of vegetation, water availability, and multiple other factors identified in resource studies to identify priority parcels for the City to acquire or to encourage owners to practice ecologically-focused land management. The Logan Ranch and Chant properties are two of those parcels. The Logan Ranch property was previously owned by the Logan family who previously donated the Singing Arrow archaeological site to the City of Albuquerque in the 1960s. This section of the Tijeras Canyon has a variety of artifacts and history from Ancestral Pueblo, Spanish Colonial, and Anglo/Euro-American settlers. The property was purchased for $340,000. The Chant property, which is located immediately adjacent to the City’s Route 66 Open Space, will enlarge that property to 79.7 acres. It’s part of a popular wildlife corridor, where visitors may cross paths with raptors, deer, bobcats, and other wildlife. The property was acquired for $290,000. Both parcels were paid for with Open Space Impact Fees. Photos from today’s celebration are attached.